Denver, CO & NY, NY & Wash. D. C.
The largest Irish American activist groups in the nation including the oldest Irish Catholic organization in America, the Ancient Order of Hibernians (AOH), have appealed to Boston College President William P. Leahy S. J. to voice his misgivings about Attorney General Holder’s subpoenas to Secretary of State Clinton and members of Congress. The college is fighting Holder in the 1st Circuit Court of Appeals but it is the political arena where President Leahy’s voice is being sought. The leaders pointed out that the murky origins of the British subpoena request can be traced to the return of these retirees some of whom served in the lawless and corrupt special RUC unit that has been so cited in the Stevens and Stalker Reports and now the de Silva Review. They pointed out that no college in the nation has a longer association with Ireland and Irish Americans than Boston College and President Leahy’s voice would cause many to reconsider the wisdom of turning over any records to the British at this time. William P. Leahy S. J. In August of last year we sent a letter to you regarding the attempt by the British government to secure records from the Irish Archives of the Burns Library (see attached). 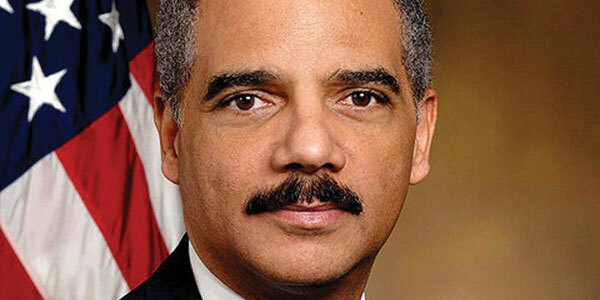 Indeed the College and, separately, the researchers who compiled those records, have fought Attorney General Holder’s subpoenas and this misuse of the U.S.-U.K Mutual Legal Assistance Treaty (MLAT). We welcomed the move by the College. We had hoped that, in addition to the litigation, the College would express its views to Members of Congress regarding the threat to academic independence and constitutional freedoms. The Writ of Certiorari currently being considered by the Supreme Court in that litigation was accompanied by amicus briefs from respected national and international journalist advocacy groups and social scientist researchers. If Boston College were to share its concerns with other Jesuit academic institutions like St Joseph’s in Philadelphi, PA, Fordham, Loyola, MD and St Peter’s in Jersey City, perhaps the Attorney General would reconsider his action. Over 20 Members of Congress from the states where those schools are located have followed the leadership of Senator Kerry in opposing these subpoenas not only for their threats to academic inquiry but for their flawed issuance pursuit to the MLAT. Your voice in a meeting with State congressional leaders could complement the litigation which may or may not address the core issues. As you may know, we filed one of the amicus briefs and focused our arguments on why the Attorney General should cooperate with the Police Service of Northern Ireland (PSNI) whose record of lawlessness and human and civil rights violations is well documented. Prime Minister Cameron recently released a report which admits the forces of law and order there conspired with loyalist terrorists to kill attorney Patrick Finucane. Not one PSNI officer was held accountable. It is difficult to grasp why the Attorney General of the U. S., the nation’s chief law enforcement officer would, in this instance, issue subpoenas for records sought by the PSNI. It is a travesty of justice, a misuse of America’s treaty and a threat to the Irish peace process. Your voice is reflected in the court battle. We ask that you also join this political struggle to defend the rule of law and seek justice. Boston College, with the aid of the Representative Joe Moakley, helped expose tyranny in El Salvador and fought for justice for the victims of the Jesuit assassinations there in 1989. The unexpected death of Dolours Price shows how history moves at its own – often unpredictable – pace. And much the same can be said for the upper tiers of the US judicial system in which Price’s life was so deeply entwined in the last years of her life. Speculation as to whether or not Price’s death means that her archived Boston College interviews will now be released is just that: pure speculation. The biggest legal hurdle to a handover is as big as you can get: the US Supreme Court. Last October, Supreme Court justice Stephen Breyer issued a stay of a federal appeals court ruling that the interviews be surrendered to US Justice Department officials seeking the tapes on behalf of the PSNI. The stay was ordered to give Boston College’s former lead researchers on its Belfast Project – Anthony McIntyre and Ed Moloney – time to file a formal Supreme Court appeal. They did so in November. Last July, in upholding Judge William Young’s December 2011 ruling, rejecting Moloney and McIntyre’s effort to block the Price tapes’s surrender, First Circuit Court of Appeals chief judge Sandra Lynch said they hadn’t proven they had individual rights that trumped America’s obligations under 1994’s US-UK Mutual Legal Assistance Treaty (US-UK MLAT). That treaty commits each country to pursue criminal cases on the other’s behalf, if asked. Moloney and McIntyre launched their own separate bid to block the tapes’s surrender in August 2011, after accusing Boston College of mounting a half-hearted defence of the archive. To date, all court rulings have gone against the pair and, to a lesser extent, Boston College. Moloney and McIntyre, along with some very high-profile sympathisers, like Secretary of State in-waiting John Kerry, have argued that peace process stability considerations must take precedence over the tightly-written treaty obligations of the MLAT. Thus far, futile efforts to secure State Department intervention may see a reversal of fortune under Kerry. But that is far from certain. And, with concerns such as the bubbling turmoil in Africa, the issue will probably not be Kerry’s top priority during his first few weeks in the job. It may be only weeks before the Supreme Court announces whether or not it’ll hear Moloney and McIntyre’s appeal. Without question, the unexpected death of Dolours Price has the potential to be a game-changer in the judicial machinations surrounding the Boston tapes. But, at the end of the day, until the fat lady at the Supreme Court finally sings, the bottom line is that the Boston College tapes won’t be going anywhere. A journalist involved in the Belfast Project archive at Boston College has said the remaining interviews in the controversial project should be destroyed to prevent them being released for use in a PSNI investigation. Anthony McIntyre said he would not now reveal what republican Dolours Price, who died last week, had said to him during her interview for the project. Mr McIntyre was speaking on RTÉ’s This Week programme. He said he would not reveal any information about the interview because of the ethical obligation that journalists or academics have to ensure that the material collected will not be used to harm the people who helped in the construction of the archive. Asked if the destruction of the archive should be considered, as he had previously suggested given the difficulties, he said “absolutely”. Journalist Ed Moloney, who headed the project, said it was never intended that the interviews would be released to “gawkers”. He said the oral history project was intended for use by academics and journalists and it was never intended that interviews would be “put up in a shop window” following the death of contributors. Mr Moloney revealed today that other people who contributed to the archive have died and their contributions have not been released. The New York-based journalist said that Ms Price’s interview was very different to previous interviews that were released, because she had not made known her express wish to have the interviews she gave released. Sinn Féin leader Gerry Adams has said his sense of the passing of Ms Price is one of loss and solidarity with her family. Speaking on the same programme, Mr Adams said that none of what had occurred in terms of a parting of ways between Ms Price and Sinn Féin had changed that. Mr Adams acknowledged the allegations that Ms Price made about him during interviews as part of the Boston College project. He reiterated that he had denied the allegations linking him to the death of Jean McConville. Mr Adams also rejected any suggestion that he would be relieved at her death. Ireland Justice Minister David Ford to bring about her release. Fran McNulty (FM) interviews via telephone Ed Moloney (Ed) and Anthony McIntyre (AM), the Director and Lead Researcher respectively of The Belfast Project, an oral history of the Northern Ireland conflict archived at Boston College. They discuss how the untimely death of former IRA Volunteer Dolours Price will affect the release of Ms Price’s interviews which are presently under subpoena by the PSNI. FM: This week Dolours Price died. Convicted in connection with the 1973 Old Bailey bombing she’s been described as a veteran Republican. But to many she’s perhaps best known as the woman who claimed Gerry Adams was Officer Commanding of the IRA. 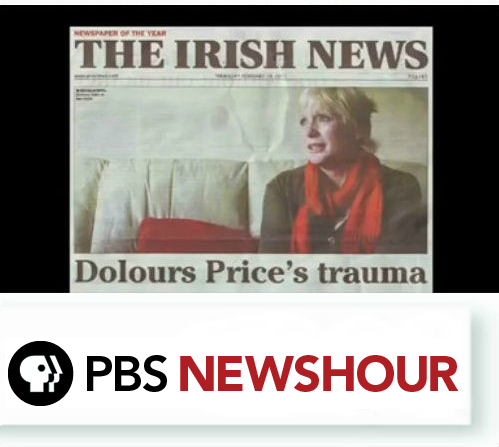 The late Dolours Price is also the woman who told her story to the Boston College Belfast Project, an archived interview that wasn’t due to be released until after her death. The college holds a number of interviews with active Republican and Loyalist figures during The Troubles. But British authorities sought to have the interviews handed over and the matter was subject to Supreme Court proceedings in the US. Ed Moloney and Anthony McIntyre, the two men who were central to the project, have been attempting to block the release. I’ve been speaking to both of them and first asked Anthony McIntyre is there any reason now he couldn’t tell people what Dolours Price said to him during her interview? AM: Well there’s every reason. Primarily the reason that these interviews were carried out (was) for the benefit of society to try and enhance societal understanding in an environment whereby people would not subject to prosecution; either the people who made the interview or the people referred to in the interview. And as we are now aware the police, the British police in The North, have been trying to seize these tapes for the purposes of prosecution and that would be a complete negation of the ethos of the project and for that reason I will not be discussing what Dolours Price said to me. FM: I read an affidavit you submitted to the Supreme Court and in it you expressed concern about Dolours Price and her health. You spoke about her depression and you expressed reservation and concern about the impact of the court action to have the interviews turned over. When you heard about her death this week what did you think? AM: I was obviously very saddened by her death and shocked even though I knew she was having serious psychological difficulties for some time. You just get into a feeling that people are going to be around forever and then when they die so unexpectedly it is shocking. And I do not know the circumstances of her death other than natural causes and there was a toxicology report that was to be carried out prior to the releasing of her body. But I do believe that Dolours was suffering serious depression and she was very concerned about these tapes getting handed over. Her whole purpose was to assist a better understanding and not to be prosecuted and hounded in the closing years of her life; she was moving into the last decade of her life if we regard a sort of the three score and ten standard. I cannot rule out the impact on her psychological health that this whole process has led to. FM: Ed Moloney in New York: Anthony McIntyre has said quite clearly he feels the interviews should not be released. I think it’s fair to say from the statement you released jointly during the week you feel the same. But isn’t it a bit much, Ed, given the fact you always knew there would be consequences as a result of interviews coming out after the death of these people? Ed: I’m sorry I don’t understand your question because the situation relating to these interviews is very simple. This was a very serious academic, scholarly and journalistic exercise. The idea, as Anthony has said, was to record interviews which would shed light on the motives and lifestyles of people who got involved in this most traumatic chapter in Irish history. And there seems to be an assumption on the part of a lot of people that as soon as someone dies we are obliged to post these interviews up in the shoppe window for people to gawk at. That is not the situation at all. In fact, just as these subpoenas were being served back in the Spring of 2011 I had started conversations with Boston College to try to draw up rules governing access. And these rules we had already outlined were going to be very strict indeed. FM: You call them gawkers but you yourself were involved in the publication of a title surrounding the Brendan Hughes interviews. So what does that make you? Ed: But that’s an entirely different situation from what we’re talking about. When Brendan Hughes gave his interviews to Boston College, as Anthony will I’m sure confirm here, his initial request was actually that the interviews be published while he was alive and clearly that was something that we just couldn’t go along with. 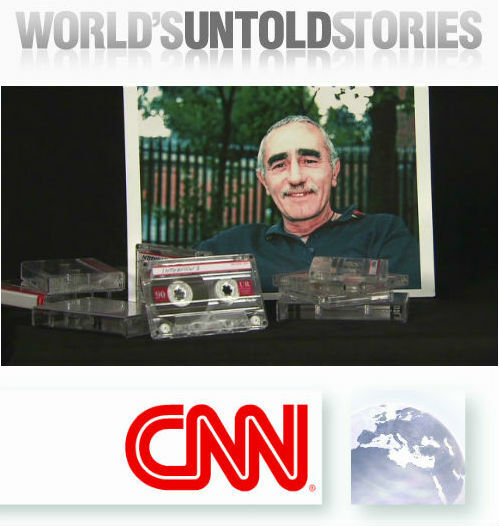 So the arrangement that was made with Brendan Hughes was that as soon as he died, and I think he knew that he didn’t have much longer to go when he gave these interviews, that we would make every effort possible to publish these interviews. So in a sense publishing his interviews was a part of the condition of him giving the interviews. Therefore that was a very special case. Other people have died you know who were involved in this archive that people don’t know about. We haven’t published those interviews. FM: In relation to the Supreme Court Stay that is in place: if somebody goes before the Supreme Court in the United States in the next few weeks and makes the case that Dolours Price is now dead and they should be released and the Supreme Court agrees with that have you any course of action left to you? Is there anything you can do to stop that? Ed: I think then the issue becomes a very political one. You know, John Kerry has just been appointed as Secretary of State. When he was head of the Foreign Relations Committee in the US Senate he was very exercised about these interviews being handed over. He was very conscious of the dangers that these interviews could pose to the stability of the peace process. And he wrote to Hillary Clinton asking her to put pressure on the British to revoke these subpoenas. And my understanding is that that is still his view. So if the Supreme Court does rule against us there remains still the very strong possibility that this issue then enters the Obama Administration as a political issue. And that means that we’re very far from the sort of resolution that a lot of people I think are both expecting, and maybe in some cases,hoping for. FM: I should say that we contacted the new Secretary of State’s office this week for comment but they weren’t willing to make any comment at all on this particular issue. 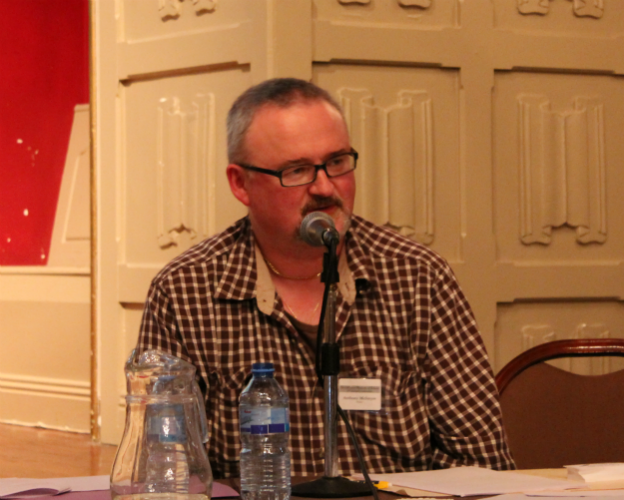 In conclusion – Anthony McIntyre to you in Drogheda: we spoke before about this issue and about the interviews that are left in the archive – there was mention about possibly destroying them because it was simply unraveling out of control. If that, as I said to Ed, that situation emerges whereby you don’t succeed in your Supreme Court action, the documents are handed over, are you still of the mindset or still of the view that destruction of this valuable archive should be considered? AM: Absolutely! I think any academic or journalist has an ethical imperative working under an ethical obligation to ensure that anything they collect will not be used for the purposes of harm to the people who helped in the construction of the archive. 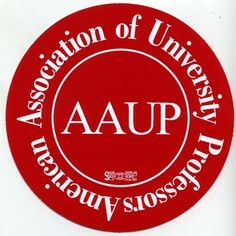 One of the guiding imperatives of every academic and researcher is that no harm should occur to the person who participates in an academic project. FM: Anthony McIntyre and Ed Moloney speaking earlier. John McDonagh (JM) and Sandy Boyer (SB) interview via telephone Ed Moloney (Ed) and Anthony McIntyre (AM), the director of The Belfast Project and the Lead Researcher of The Belfast Project respectively, about the recent passing of former IRA Volunteer Dolours Price. SB: We are talking about Dolours Price and we’re going to Anthony McIntyre who interviewed Dolours for the Boston College oral history project of The Troubles. Anthony, thanks for being with us. AM: Thanks very much, Sandy. SB: And Anthony, you actually interviewed Dolours for the Boston College project and that interview has created a huge sensation. Currently, the US government is trying to get it turned over to the Police Service of Northern Ireland. And you got to know Dolours very well. She was the godmother of your son. Tell us a little bit about Dolours. She was a very intelligent woman. She was very sensitive – politically aware, politically astute. And she maintained her politics, her radical politics, throughout her life. A number of years ago I accompanied her to Doire City to canvas at an election centre for the radical Socialist Eamonn McCann in Doire. So Dolores traveled up from Malahide, Dublin which was was considerably further than I traveled, which was from Belfast. So she wanted to keep her finger on the pulse but she was also a very sad person. She suffered mentally from what she’d seen as the energy that herself and many other Republican activists put into the Republican struggle for years. She did suffer grievously. She had a hard life. And after prison she coped with addictions as she tried to struggle through the trauma of her experience. But overall she seemed to be a woman that felt she was badly let down and someone who felt compelled to carry culpability or responsibility for shared actions and the actions in which she engaged which were shared by others (who) simply abdicated their responsibility and denied any part in those actions. And I would think in many ways Dolours felt hurt by that. I would talk to her over the years about her sense of pain and she was so disturbed about the lies that were churned out day in and day out. But overall, a very sensitive, loving, warm person who, like many other people, was not inclined towards violence by nature but because the British state came in and militarised Irish society and introduced violence, state violence onto the streets of Belfast and Doire, conducted mass murder against an unsuspecting civilian population, gunning down fourteen people in the streets, these sorts of things compelled many young people, including Dolours Price, to take up arms against the British state. SB: And Anthony, you were talking about people who’ve changed their stories over the years, chief among those would be Gerry Adams who Dolours said ordered the bombing mission to London and now he’s expressing his sympathy for the family. AM: I just think he does what so many other politicians do: they just basically lie through their teeth. And he has been put on the spot somewhat by the cameras and he can do little else other than express sympathy. Had he had any genuine sympathy for Dolours Price he would have met her and spoken to her as an equal and not denied his past to her or his role in the organisation to which both she and he belonged. She felt so let down by much of this. JM: And Anthony, do you see Gerry Kelly and Gerry Adams going to the funeral on Monday I mean…like they did with Brendan Hughes? AM: I don’t because I think…Brendan Hughes died five years ago. I think there’s a much greater degree of resentment from the family of Dolours Price towards the Sinn F in leadership than there had been from the Hughes Family towards the Sinn F in leadership at the time of Brendan’s death. I would be surprised if those people were to turn up at the funeral…and I would be surprised…but they certainly would have the chutzpah to do so as they did at Brendan Hughes’…but in my view they should not be welcomed at that funeral. The Stormont government has a history of killing Republicans. It should never ever be allowed to bury them. SB: Yes, Ed. Thanks for being with us. Ed, you were the director of the oral history project to which Marian (Ed. Note: Dolours) gave her interview and there’s a huge controversy about that about whether those interviews should be turned over to the British government. And there’s alot of confusion. Some articles in the paper say that is now that Dolours is dead that the tape will be handed over. What’s the status of that? Ed: Well, the reason for that is that there’s a very large element in the media which really doesn’t care about the principles involved in this struggle to stop the interviews being handed over. It doesn’t care about issues of confidentiality or the police misusing journalists or academic researchers for law and order purposes. They really just want to see the gory details of what they imagine are in these interviews and I think that’s driving and influencing an awful lot of the reporting which is very inaccurate. The reality is that the Supreme Court of the United States which, the last time I checked, is still the highest court in the land, has ordered a Stay on the hand-over of these interviews. And that Stay will remain in place I suspect for some good while yet before the Supreme Court makes a decision on whether or not to hear this case. And the fact that Dolours has unfortunately died is going to be used perhaps by some people to say: well the whole issue is moot. Our lawyers will be arguing two things: first of all that the issues in Dolours’ case are still very much alive and have to be dealt with by the Supreme Court because they are issues of I think great constitutional importance. And secondly, there are other subpoenas, eight or nine subpoenas, affecting other interviewees. And these are people who are in exactly the same situation as Dolours was and their case has been held up by the First Circuit in Boston which presumably has been waiting for the Supreme Court to make up its mind. And so the issues are still very much alive. This fight will continue. And there is going to be I suspect also a possible political context in the US for this fight. So all those people in Ireland, particularly in the media, who are rubbing their hands in glee and anticipation that they will soon will be able to paw through the records at Boston College’s archive, I’m sorry to disappoint them. It ain’t gonna happen – at all as far as I’m concerned – and possibly not for a very, very long period. JM: Ed, with the thousands of people that have been involved with the Republican Movement over the last thirty or forty years and in this particular you wanted to get the history of exactly what happened with IRA Volunteers – why was Dolours picked out of all the people you could – what was the significance of having the interview with her? Ed: Anthony McIntyre can answer this question possibly better than I can because he was actually on the ground and had to go out and find people to interview. And funnily enough, believe it or not, and all the conspiracy theorists in the world are in for another disappointment, one of the biggest problems was actually just finding people who would be willing to be interviewed. Some people have this idea that we set out to recruit a regiment of people opposed to Gerry Adams and interviewed only those. We actually went out to interview anyone who was prepared to be interviewed, who was willing to be interviewed but also who had an interesting and important story to tell. And that meant that there was a very wide range of people, including people who were in very different organisations from Gerry Adams, and not at all in the Provisional IRA. So it’s very much more complex but also a much simpler picture than a lot of people are painting. They’re distorting the picture, I think and I suspect for all sorts of political reasons but that was the situation. The number one problem was just finding people who were willing to take the risk of giving an interview like this. And she was one of those who was willing to do that and she was clearly a very important person. The Price Sisters are legends in the Provisional IRA and in the history of The Troubles. They were the very first women to essentially become full members of the IRA as opposed to Cumann na Mban and they left their mark on The Troubles in a very, very important way. As we know full well, just from what is known about their personal history, so actually if you were to exclude someone like Dolours Price on the grounds of oh, gosh! she doesn’t like Gerry Adams you’d actually be committing an historical crime because you’d be losing a very, very rich source of information. So she was chosen: A) because she was willing to be interviewed and B) because she had a very important story to tell. SB: And Anthony, you actually did the interview with Dolours. First of all, I know you can’t say what was in the interview but can you tell why you interviewed her and a little bit about where and when and…. AM: Ed has outlined in good terms the sort of approach that we adopted. Dolours was picked because I thought she had a very interesting story to tell. The Finnish historian who dealt with Henry Kissinger’s foreign policy and wrote a book on Henry Kissinger called The Flawed Architect said: for any historian it’s a brilliant experience to talk to those who were there at the creation. And in many ways Dolours Price was there at the creation because she’d seen the emergence of the Provisional IRA from the the civil rights (movement). She’d seen it come up, how it grew, how it expanded, had ties to it’s activities, what was it’s culture and she was one of those people who would be able to correct the currently deficient narrative that we sometimes have and we have been subject to in the media, journalism and, in certain cases, academia. And I was alway, given the security of the project – I was at all times concerned with protecting it’s privacy and protecting it from any outside intrusion or coming under the eyes of the security people and the Provisional IRA who in turn would probably have passed it onto the British given their own record of affinity with the British state. And I chose my interviewees carefully. And I picked people who were prepared to talk but who also, in my view, were prepared to be silent about the fact that they were talking to me. And it’s remarkable that throughout this whole project we heard no mention of it from anywhere, people like Dolours Price and the interviewees that myself and Ed decided to talk to or decided to select did not breech that confidentiality and were not running around the streets telling people and that’s how it lasted so long and had survived. But overall, Dolours Price was there at the creation, she had a story to tell and I think society will be much better for the story that Dolours Price told. SB: Ed, you’ve written extensively about the Provisional IRA. What do you think that the place of Dolours in that history is? Ed: Well, as Mackers just said she was there at the start. Those of us who were students back in the late 1960’s when the civil rights movement started remember Dolours. She was involved in The People’s Democracy movement. She was on the Burntollet March. In fact there’s a famous picture of her (and I think Marian was with her) in the middle of the stream being pelted by Loyalists with bricks and stones and goodness knows what while the police stood by and watched. So she was involved in the early civil rights movement. Her family was steeped in Republican tradition. There is the tragic tale of her Aunt Bridie which had an enormous impact on her I think. And her father of course, Albert, was one of the founding members I suppose of the Provisionals. A guy who had been involved the IRA in the 1940’s, who’d been with Barnes and McCormick on bombing runs in London and so on and so forth so there’s a very long tradition of Irish Republicanism in that family on the mother’s side as well as the father’s side. And it was almost natural that she would gravitate to the Provisionals. But I think what was striking about her and also Marian as well is that they did so via radical left wing politics. And I think certainly Dolours always kept that side of her politics very much there even though her life had changed quite considerably. And they were there at the very start. They were the very first women to become fully fledged members of the IRA. They were there up at the leadership level rubbing shoulders literally with the leaders of the Provisional IRA in Belfast at a time when the leadership in Belfast was really the national leadership of the IRA. So they were privy and part of a hugely rich story. So yeah, I mean…how important are they? Very, very important. The two women…Just the fact that we’re talking the way that we are talking about both of them is evidence of that I think. They will go down in the history of The Troubles. There will be a chapter- not a footnote there will be a chapter on them. JM: And Anthony, we’re winding up here in New York City speaking about what happened with Dolours Price and about Marian not being granted compassionate parole. How are you planning the next couple of days and will you be up at the funeral on Monday? AM: I will be up at the funeral for sure on Monday. I will be taking my children up. My wife is up there in Belfast at the moment she’s representing the family there. And I will take my children up and I will take them over to see the woman they refer to as Aunty Dodo. And my son, he will be seven and he doesn’t understand, but I mean given that Dolours is his godmother I very much want to ensure that he accompanies her on her final journey. SB: Anthony, thank you, thank you very much. And again, there is one small thing you can all do: is go to http://irishfreedom.net/ – get the email address for David Ford and send him an email demanding that Marian be released. Dolours Price, an unrepentant former member of the Irish Republican Army who went to prison for a 1973 London bombing and who recently shook Northern Ireland’s fragile calm by claiming that her orders had come from Gerry Adams, the Sinn Fein party leader and peace negotiator who denies having ever been in the I.R.A., died on Thursday at her home in a suburb of Dublin. She was 61. The police in Dublin said the cause was not known. An autopsy was scheduled. Ms. Price, the former wife of the Irish actor Stephen Rea, attracted more public attention than she might have expected in recent years. Since 2011, the police in Northern Ireland police have been fighting in the courts for access to audiotaped interviews that Ms. Price gave to an oral history project at Boston College in which she detailed her I.R.A. career. The United States Supreme Court has been asked to hear the case. The police learned of the audiotapes from an interview Ms. Price gave to an Irish newspaper in 2010. She told the paper that her testimony for the college’s “Belfast Project” described kidnappings and executions that she said she helped carry out in 1972 on orders from Mr. Adams. She also asserted on the tapes, she said, that Mr. Adams had a role in conceiving the London car bombings and that he ordered her and nine other I.R.A. volunteers, including her sister Marian, to carry them out in 1973. The explosions, at four landmark sites, including the Old Bailey Courthouse, injured 200 people and left one man dead from a heart attack. It was the I.R.A.’s first attack in London. The Northern Ireland police have said that Mr. Adams is not a target in their seeking the audiotapes. The family of one suspected I.R.A. informer described by Ms. Price as having been executed has called for Mr. Adams’s arrest. Mr. Adams expressed sorrow this week at the news of Ms. Price’s death. “She endured great hardship during her time in prison in the 1970s,” he said. Ms. Price spoke often of the personal toll of her terrorist activities: years of depression, alcohol and drug abuse, and post-traumatic stress disorder. Among the suspected informers she drove to their executions, she said, was a longtime family friend. In prison, she staged a 203-day hunger strike in which her jailers force-fed her every day through rubber tubing. Suffering from tuberculosis and other ailments, Ms. Price was released from prison on humanitarian grounds in 1981 after serving seven years of a life sentence. Ms. Price told interviewers that she might have spared herself and her victims had she known that the struggle would end with a peace that left Northern Ireland’s Catholic majority, in her view, where it had started: under British rule. Ms. Price married Mr. Rea in 1983 and had two children with him. Mr. Rea, who portrayed an I.R.A. hit man in the 1992 film “The Crying Game,” spoke only obliquely about his wife’s past. Dolours Price was born in Belfast on June 21, 1951, into a family steeped in Irish republican politics. Her father, Albert, was an I.R.A. founding member. “My father never saw his firstborn child because she was born and died while he was interned,” she wrote. An aunt, Bridie Price, lost both hands and her eyesight when a bomb she was assembling accidentally blew up. Her sister Marian, who was among the 10 I.R.A. members involved in the 1973 London bombings, was released from prison in the early ’80s but rearrested several years ago on charges of plotting an attack on the government. Ms. Price was a recent college graduate and training to be a teacher when she enlisted in the I.R.A. in the early 197os. She was one of the first women assigned to carry out an armed attack and was selected for the London mission in part, she said in an interview, because she was a pretty young woman and had no arrest record. Ms. Price’s marriage to Mr. Rea ended in divorce in 2003. She is survived by their children, Danny and Oscar; her sister Marian and another sister, Clare; and two brothers, Sean and Dino. “They are not republicans,” she wrote. A version of this article appeared in print on January 26, 2013, on page D6 of the New York edition with the headline: Dolours Price, Defiant I.R.A. Bomber, Is Dead at 61. Price was one of the paramilitary veterans from both sides of the conflict who cooperated with BC on a project to collect reminiscences from the Troubles by the people most intimately involved in them. In her case, she has been particularly vocal in accusing Gerry Adams, now a member of the Irish parliament, of having ordered murders and bombings when, she alleged, Adams was her IRA commander in 1972. (Most notably, Price accused Adams of having ordered her to deliver Jean McConville to an IRA execution squad in 1972. McConville’s body wasn’t foud until 31 years later.) The interviews were given to the BC researchers on the condition that they would be held in confidence until the interviewee died. Nevertheless, police authorities in both Northern Ireland and in Great Britain have attempted to force the BC researchers to hand Price’s interviews over to them, ostensibly to build a case against Adams for the murder of McConville, but more likely, most people believe, to embarrass and discredit Adams, who is not only now an elected politician, but also the public face of one side of the Irish peace process. Certainly now, with Price’s death, any trial of Adams in the death of Jean McConville is unlikely, given that Price was going to be the star witness. Meanwhile, the Supreme Court here stayed the demand for Price’s interviews pending its decision on a motion by the BC researchers, who cited their academic freedom as a shield against having their work used essentially as an investigative tool. What makes things even more different, as was pointed out today in a column by Kevin Cullen of The Boston Globe, whose work from Northern Ireland over the past two decades should have won about eight Pulitzers, is that, when he was a senator, John Kerry, our Secretary Of State-designate, went out of his way to line up with the researchers at BC and against what the end-around being attempted by law-enforcement from across the pond. (Cullen’s column, alas, is behind the Globe’s paywall.) Senator Kerry wrote a letter to the woman he eventually will succeed, Hillary Clinton, arguing that she should try and get the British authorities to reconsider their hamfisted attempts to turn historians into de facto intelligence operatives. Clinton, Cullen writes, never responded, but, as Cullen argues, Price’s sudden death is a good reason to put an end to the whole sorry episode. If the British authorities insist on pressing their claims, Cullen says, then this all has been about politics, and not about justice. It certainly puts our new chief diplomat in an interesting position. American historians ought to be agog over this.